You’ve started to build your brand as a freelance writer and carve out some space for your portfolio, blog, or website. But what’s next? How do you start making the connections in your career that will lead you to jobs? Of course, you’ll apply for jobs and send out pitches, but you can do more to make a name for yourself as a writer for hire: You can network. What exactly is networking? It can mean a lot of different things, but a good way to think about networking is being vigilant about making your career known. For example, you might use social gatherings as an opportunity to let people know a little about what you write and that you’re available to hire on a freelance basis. This can put you at the top of someone’s mind if they happen to need a writer for an upcoming project. But, since advertising to your friends and acquaintances will only get you so far, you’ll want to think about ways to network outside your social circle and among potential clients who are more likely to need your services in the more immediate future. Here’s a look at what you can do. Use social media—and use it often. Social media is a great place to spend time as a freelance writer, and it can offer a few benefits. First, it can give you a place to connect with potential clients by following them on Facebook or dropping them a line on LinkedIn. If you’ve already worked with some clients, you can use social media to follow up and see if they have any new writing needs where your services may be useful. It can also provide a place for you to further build your brand with more information about your writing services, showcases of your work, and even reviews from your previous clients. Attend local events for industries you want to write about. If there is a specific industry that you’ve chosen to write about, then it’s a huge help to have connections in that industry. For example, if you are a medical writer, you might go to professional events for medical professionals. This might give you direct connections to new clients, or it could provide you with great interview subjects for an upcoming article you have planned. As a freelance writer, you might have a bit of a lone wolf mentality when it comes to networking with other writers. After all, other freelancers are your competition. However, it can pay off to know other people who share your profession. They might have projects that they don’t have time to take on, so you may end up getting a gig based on another writer’s recommendation. Fellow writers can also be great for sharing ideas, editing each other’s work, and brainstorming solutions to common problems, such as dealing with difficult clients. Many towns and cities have professional meetups for writers, and you can also build professional relationships by joining online writing communities. Offer to guest post on blogs you follow. Another way to reach out to other writers is by offering to contribute to the blogs they host. If you follow another writer’s blog and have a great idea for a future post, offer to write it for free in exchange for backlinks to your own blog and maybe a shout-out on social media. Especially if the other writer has a big following, this can be a huge boost for your career that gives you more contacts to reach out to in the future. Just like you can ask other writers to help you out, you can ask your clients to refer their colleagues to you for their freelance needs. If a client has given you positive feedback on your work, it’s worth asking them to recommend you to other business owners and industry professionals. You can even offer some incentive for client referrals by offering a discount on future services to clients who refer you to others. 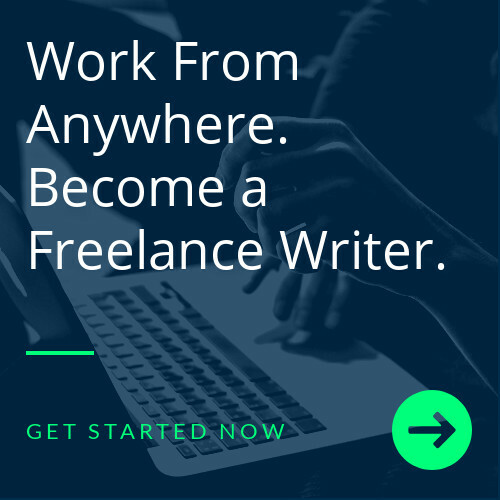 Freelance writers can never have too many tools to help them network, find new gigs, and stay organized. That’s why you’ll want to check out Writers Work, whether you’re a seasoned professional or you’re just starting out. With our Writers Marketplace, you can be seen by potential employers and have a great place to showcase your work. Learn more about what we have to offer by checking out the video on our homepage.